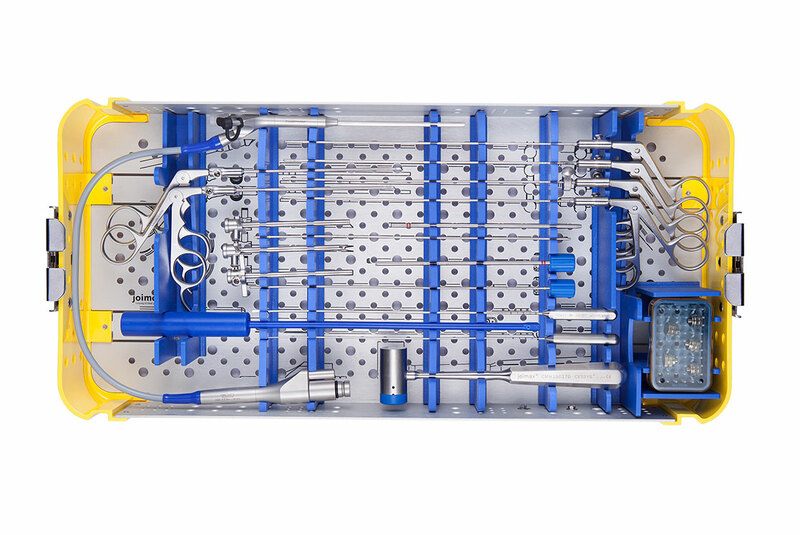 The CESSYS® Ventral instrument tray contains all necessary instruments for minimally invasive access. A variety of instruments is included for sequential soft tissue dilation, access through the annulus and removal of herniated disc material. Depending on the position of herniation, three distal end variations of the working cannula are available. The tray can also accommodate the joimax® CESSYS® Cervical Hybrid Scope. 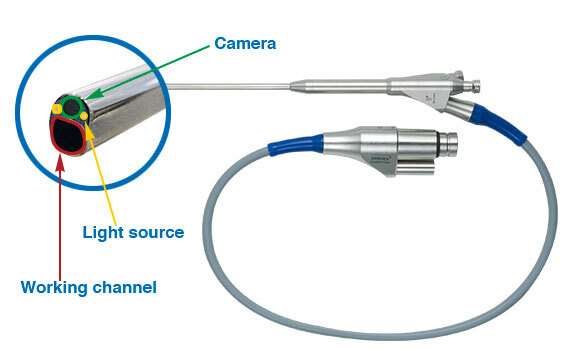 The single-cable connection of the video/camera unit to the endoscope provides less bulk and therefore, lightweight handling of the endoscope. 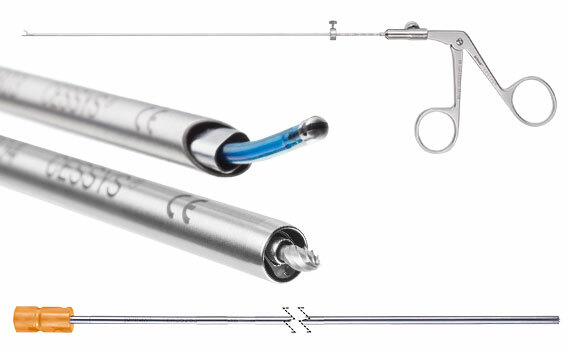 This patented, hybrid cable technology enables the surgeon to gently maneuver the endoscope throughout the procedure. The 1.2 mm diameter optic provides excellent FHD Quality imaging in combination with the joimax® C-Camsource® Camera System.